I've spent countless hours troubleshooting this issue and scouring the web and nothing seems to work. I'm hoping for some feedback here. A few weeks ago the radio quit working in my LR3. There was no sound for a number of days. After about a week the sound came back on and worked for about 3 days. The radio head unit and nav work fine. I can change the channels and input, however there is no sound. No volume icon displays. Same thing with the NAV. I can input destinations and it will map to them, just no sound. Same thing with bluetooth. It will connect and receive calls, just no sound. Did a soft system reset by disconnecting the negative battery terminal for 30 minutes. I did this twice - no change in problem. Did a hard system reset by disconnecting the negative battery terminal, then positive terminal, and connecting the two together for 5 minutes - no change in problem. Took out the head unit and nav unit to check for loose connections. Disconnected all the wiring and reconnected - no change. There is only one light coming from the back of the fiber optics on the head unit. I've attached a pic, I'm not sure if both are supposed to be lit up or not? Inspected the amp under the passenger seat. No loose connections. Disconnected the wiring and reconnected- no change. There is only one light coming from the amp wiring. Again, not sure if both are supposed to be lit or not? Any suggestions? Are there any fuses I've missed? I know on some searches I've done apparently RR have an amp fuse? but I didn't see any other fuses behind the radio head unit, nav unit, or the amp. 65 views and no suggestions? C'mon... Somebody has to have heard of or seen this issue. One red light is all you ever see. I am inclined to also think the Amp is the problem was well. The sound signal from the tuner travels via the red light - the optical bus. As best I can determine, the Bluetooth is unrelated to the tuner head, hence if there is no sound from the phone, then again, back to the amplifier being the problem. If there was no red light at all coming from the MOST connector at the amplifier, then one could say that there is a break in the optical wiring as one break somewhere, no red light light travels - at least I think that is how the MOST works, or not. The source of the red light is the NAV unit by the way. I am certain that the connector going into the tuner head is properly inserted as red light would not make it out and hence down to the amp. I have heard that it is common for some solder joint to let go inside the amp and then you have to find a new one from a auto wrecker - your best source it seems. That is kind of what the restart of the system for a few days suggests. You could consider removing the amp, putting it in a deep freeze for a few hours and then plugging it back in; that can often be a quick fix for a cold joint and at least prove out where the problem is. Do not worry about wrecking the amp as we routinely have -40F weather here so the amp is used to being powered on when cold. That procedure can work for hard drives as well. The link below is to a number of files I have related to the infotainment system- wiring diagrams and the like. I have an 06 and had this same exact problem. After beating my head against CANBUS, wiring diagrams and trouble shooting charts for a week it turned out to be a good old fashioned corroded wire. So take a close look at the harness before shelling out for a big ticket item like an amp. This is where the trouble was found in my 06 HSE. Open the passenger front door, remove the plastic sill trim that covers the edge of the carpet and take a close look at the wiring harness that runs along that side of the truck under the carpet. Mine was wet, dirty and had a number of damaged wires. Repaired the harness and everything worked as it should. Did you get anywhere. I also have just one lit Fibre on the back of the amp. Should there be light from the amp ? Hi, I have a similar problem with my '05 LR3. I do have sound coming from the rear headphone connectors however no sound from speakers. 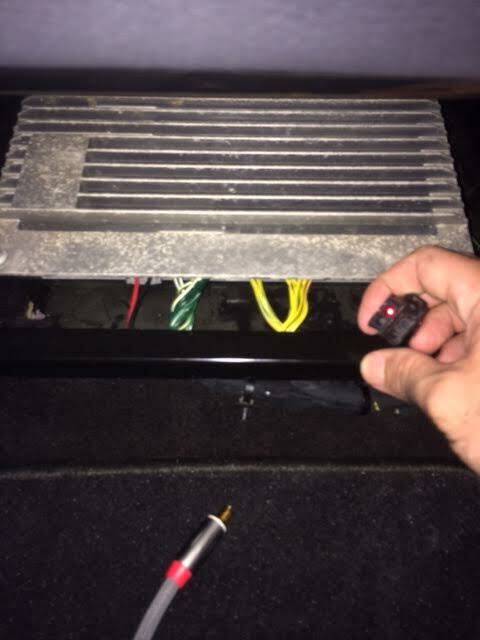 The SPDIF coming from the head unit does light up (one light) but I have no light coming from the amp SPDIF connector. I took amp out of the car and connected a 12-volt power source to it to see if the SPDIF would light up but it won't light up. So that leaves to believe that the problem is the amp. 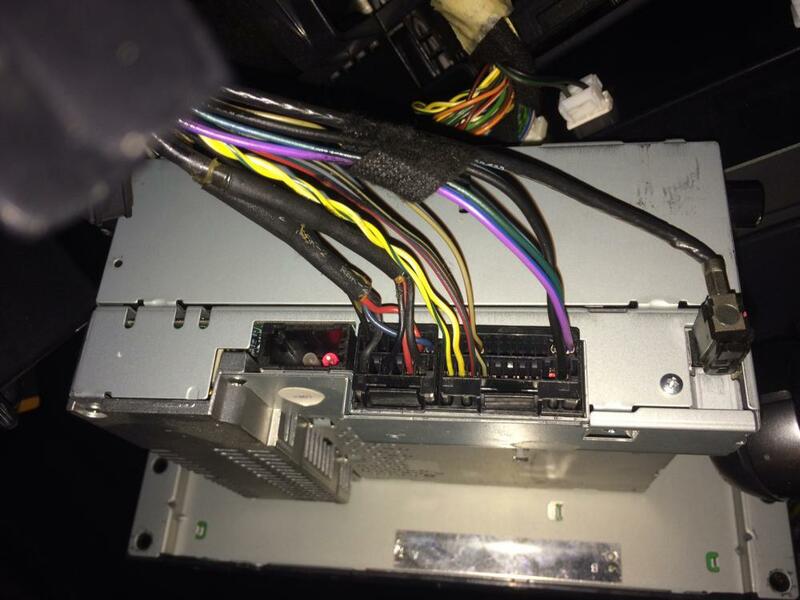 Can someone please confirm if the SPDIF fibre-optic connectors on the amp do light up when you disconnect the cable with the car running ? The Logic 7 are quite expensive on Ebay so I want to make sure that it's normal that no light is coming out from the amp before pulling the trigger on a $350 purchase on Ebay. I realized when the radio would go out, it was do to water getting in through the cowl by the passenger side and the cables getting wet there. Water entering the cabin and drenching the wiring was my issue. Solved by replacing the sunroof drain tubes. Haven’t had a radio problem since doing this, works perfectly. I bet if caught early on, this would probably solve the issue for most.